Our Practice. Hennelly & Grossfeld. At Hennelly & Grossfeld, we are not just litigators, we are trial lawyers. 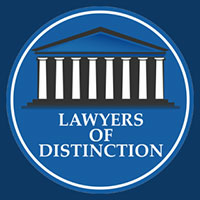 Our attorneys have successfully tried dozens of cases in state and federal courts throughout California and the nation. This experience permits us to analyze and prepare cases efficiently with an understanding of how the jury will perceive the evidence. We prepare every case from the outset as if it were going to be tried to a jury. As a result, many of our clients’ cases are resolved to their satisfaction prior to trial. However, if a satisfactory pre-trial resolution cannot be achieved, our clients can have the confidence that we will be prepared to take their cases to verdict. Further, we have implemented technologies and policies to create a “paperless” office, allowing for quicker retrieval, review, and distribution of information.